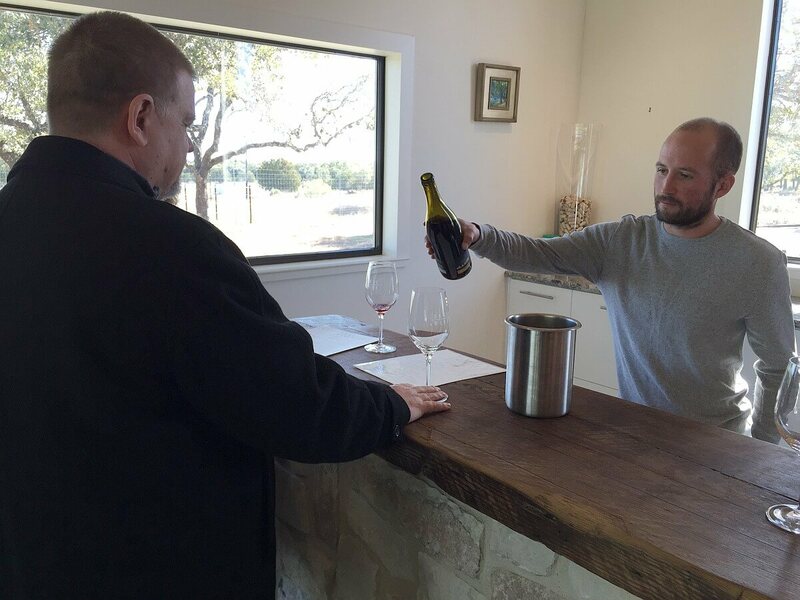 I attended the Hill Country Wine Symposium on Tuesday and Wednesday in January and planned on meeting some wine friends on Sunday in Fredericksburg. 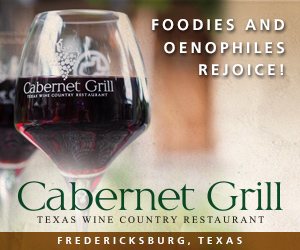 I could either head home to Houston and then back to Fredericksburg for the weekend, or just stay in the Hill Country for that time and visit some wineries. That wasn’t much of a choice, so I stayed from Thursday to Sunday and visited wineries during that time. 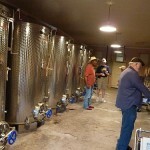 The problem was with the new wineries I visited, that meant new writing needed and it takes time! First, the Hill Country Wine Symposium was fantastic! I volunteered to help which I personally enjoyed just as much as if I attended the Symposium and watched every seminar. I met a lot of old friends and made new friends. It was definitely a great two days and I already have volunteered for next year’s event. I made plans for the rest of the days as to where I would be going, whether a new winery or old, and was looking forward to the visits. 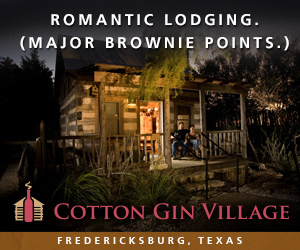 Wednesday night I moved to Inn on Barons Creek in Fredericksburg, one of the host hotels for the November Wine Tourism & Marketing Conference, to be my base camp. 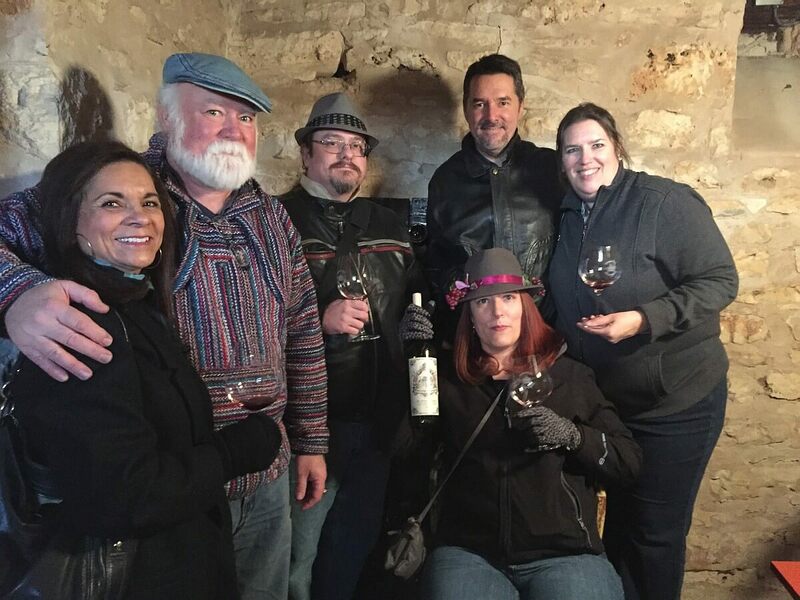 On Thursday, I first headed to San Saba to visit the new Old Man Scary Cellars. 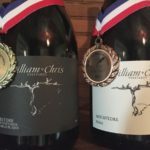 They were a little late opening but after visiting with Mike McHenry of Wedding Oak Winery and then the winery itself, I headed back to Old Man Scary Cellars which had opened. 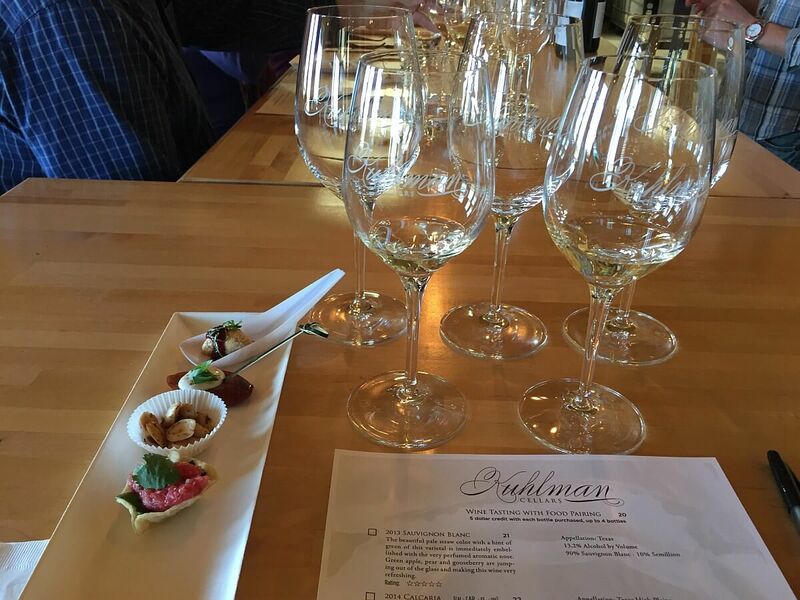 I had a nice visit with Emily Hisel at Old Man Scary Cellars and then headed to my first appointment which was Kuhlman Cellars. Of course I had to see Texas Wine Lover team member Jeremy Wilson and have him lead my tasting. The new wine/food pairing menu was being used and as usual, it was great. After my tasting, I had some time to spend so I planned on spending more time to visit new winery Barons Creek Vineyards. 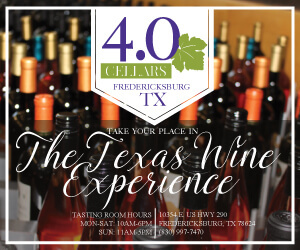 I met tasting room manager Mike Igo and he gave me a tour of the winery while the Fredericksburg Chamber of Commerce was also enjoying the winery. There were still some things to be finished at the winery, but it is going to be a great place to visit for wines and to stay overnight. 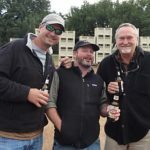 I had the pleasure of meeting owners Marc, Mike, and Chris Chase along with winemaker Russell Smith. 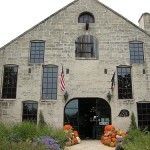 I then headed off to visit friend Carl Hudson who also is a part-time tasting guide at 4.0 Cellars for the evening. He had arranged a group of friends to enjoy us at his house for dinner along with some great wines from his wine cellar. What an impressive menu and selection of wines! Friday came and Carl wanted to join me on my visits to wineries. He said he would go wherever I wanted to, but little did he know that it was going to be a LONG trip! 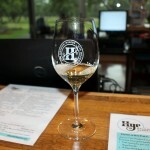 We started out by visiting Driftwood Estate Winery briefly before heading to Longshot Winery in New Braunfels. Unfortunately, owner Jasper McDonald had not arrived at the winery yet. 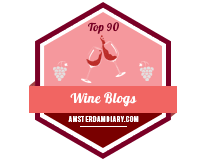 We were able to do a tasting with manager Charis Kempen, but I do not have photos to share with you of Jasper. Next up was Vines on the Rocks which is in Dunlay. It was great having Carl along for as anybody who knows Carl, he loves meeting people. 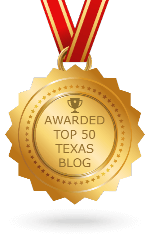 He would break the ice with everybody and then allow me to get whatever information I needed for a blog post. 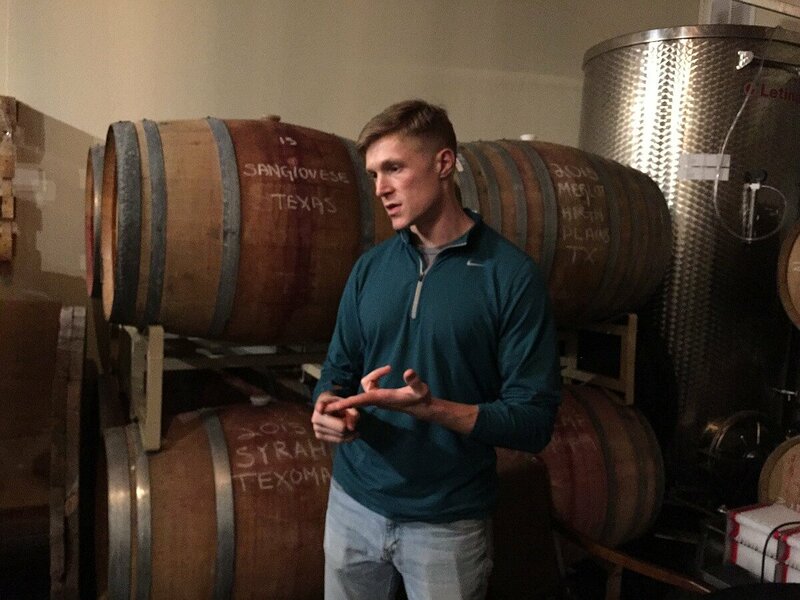 Fortunately, I found out at the end of the day he truly enjoyed our day together, so if I have to visit wineries in the Hill Country alone again, I will for sure be convincing Carl to join me. Back to Vines on the Rocks, the winery was a little different than I anticipated since it was more like a store, but we really enjoyed ourselves and if I lived in the area, I would definitely be happy they were there. On to Scimitar Hill Vineyards where I had visited before they opened. The last time I visited the winery, Gloria had joined me. This time when owner Tom Hendrix saw me arrive, he said, “Who did you bring to see me this time?” Carl introduced himself and they had actually met each other at Bending Branch Winery before. We had a great visit and Carl was very impressed with the wines Scimitar Hill Vineyards had even though there were just a few. He cannot wait until the 2014 wines are released, as he will definitely be returning at that time. Since we were near Comfort, we stopped in at Bending Branch Winery to end our winery visits for the day. As always, we had a great time tasting the new wines available. We also saw Nolan Newsom of Newsom Vineyards near the end of our visit and enjoyed a conversation with him. Notice I said Bending Branch was our last winery visit for the day, but that was not the last place to imbibe. We stopped by Hill Country Distillers also in Comfort and had a fun time trying their spirits. It was time for dinner and we walked over to Comfort Pizza and had a wonderful pizza along with our own BYOB. Friday had been a long, but very fun day. On Saturday, I learned that Gloria was driving from Houston to spend the weekend with me. We met at Graham Creeks Wine and Vine along with wine friends Jim and Carole Rector. This visit turned out to be a mistake. Even through attempted phone calls and emails to see if they were going to be open and never getting a reply, we still stopped by to visit since their Facebook page listed their hours when open. It turned out they don’t even have a tasting room, and when I was standing outside a locked gate with cattle behind it, I finally reached one of the owners on the phone. 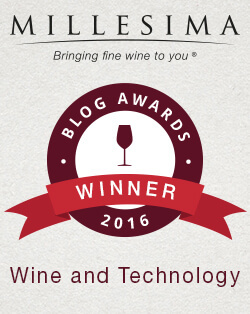 He was there somewhere, but had not brought any wine for any tastings, and I suggested they update their website and Facebook page so other people would not be deceived. They took my advice and later in the week they updated their Facebook page. 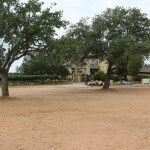 It was on to The Austin Winery who I was sure would be open and have a tasting room since I had visited there before. Jim and Carole joined us and we had a great tasting. Co-owner and winemaker Cooper Anderson arrived soon after and gave us a tour of their barrel and production room. It had definitely gotten more crowded since my last visit, and we are looking forward to more Texas wines that were being aged in barrels. Cooper informed us that they were moving locations soon so they would not be open for a while during the move. Later during our visit, co-owner Ross McLauchlan arrived and it was nice seeing him again. 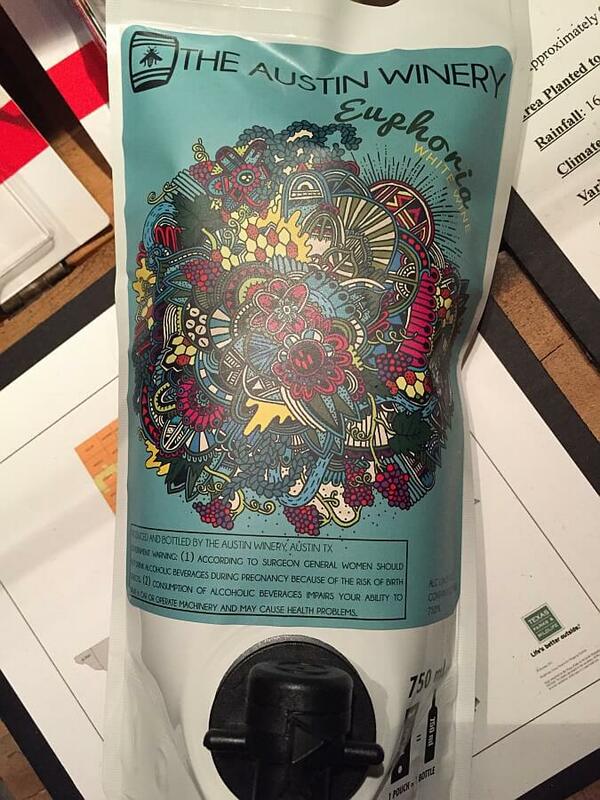 They showed us their new bagged wine which is a bag with a full 750ml bottle of wine, and it makes it very easy to bring to picnics and other outdoor events. They believe is better than canned wine because it is eco-friendlier and has almost an 80% smaller carbon footprint. It also stays fresh for a month after opening. Jim and Carole went to visit another winery and we would meet up later, so Gloria and I went around the corner to Meridian Hive Meadery. 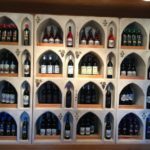 We have visited more than one meadery in the past and Meridian Hive was slightly different. Quite a few of their wines tasted more like wine instead of the traditional honey mead. 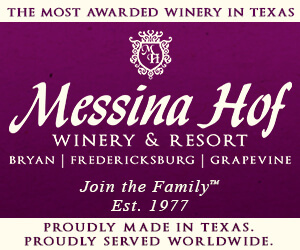 If you’re in the area, The Austin Winery and Meridian Hive Meadery make a great visit near each other. We then met up with Jim and Carole along with a number of other friends including contributing writer Robin English-Bircher and Sean Bircher, Michael and Robin Clark, and others at Pontotoc Vineyard’s Grand Opening. We all enjoyed a nice visit with winemaker Don Pullum while he took a little break from pouring wine. 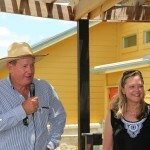 The Grand Opening was a great success and there were a lot of people there to enjoy Carl and Frances Money’s new winery location. It had been another fun day and since Gloria and I were getting hungry, we went to the recently introduced to me, Hondo’s, for dinner. The four day weekend was almost over, but on Sunday, Gloria and I joined up again with Jim and Carole and met at Lewis Wines. 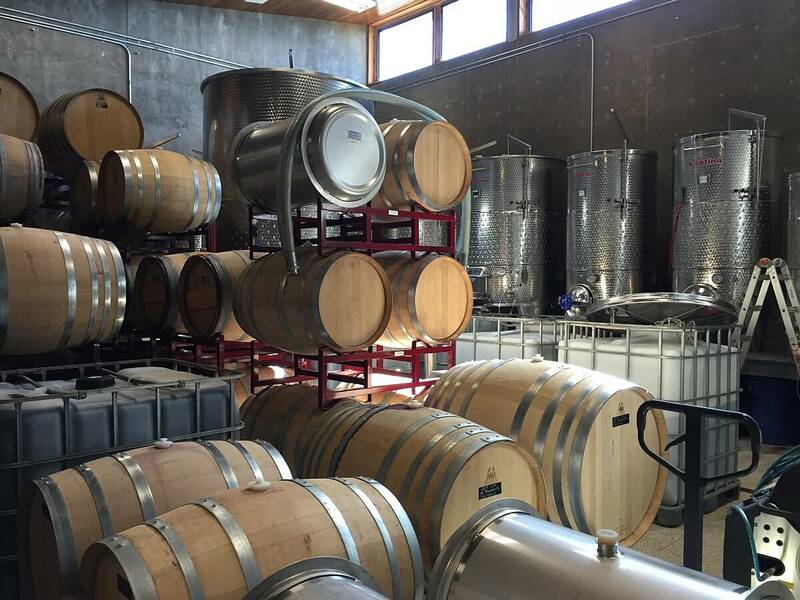 I had previously made an appointment for when they opened and fortunately co-owner and winemaker Duncan McNabb was there to first give us a tasting at the new tasting room/pavilion and then let us sample some new wines from the barrel in the production building. Everybody enjoyed their time with Duncan and we all were impressed even more with their wines. Jim and Carole had an appointment at another winery while Gloria and I visited William Chris Vineyards with our appointment. As always, we had a great time tasting new and previously tasted wines along with the wonderful staff. We then met Jim and Carole along with other wine friends at Barons Creek Vineyards with our long time friend Laurie Ware being our tasting guide. I had visited Barons Creek a few days prior so I was aware of the wines, but it was new to Gloria and the others, and everybody enjoyed themselves. 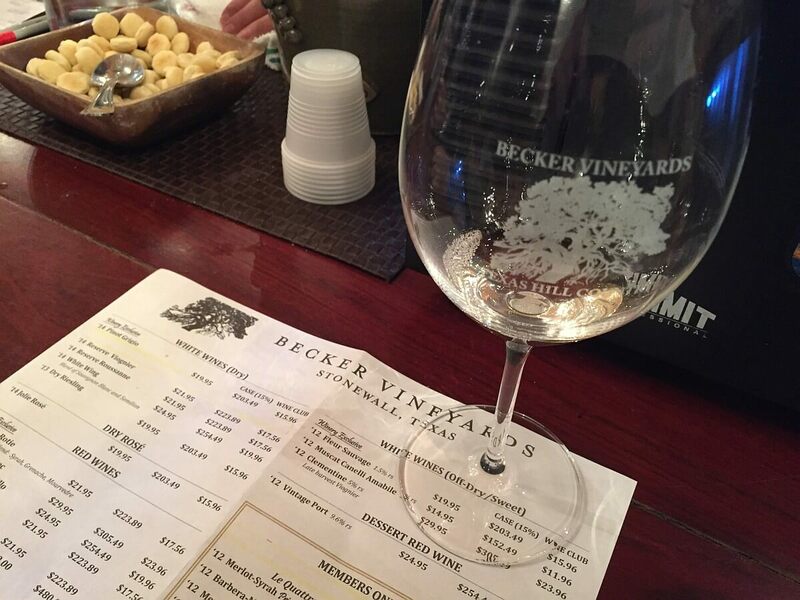 I had made plans to visit Becker Vineyards with tasting room coordinator Nichole Bendele. When I mentioned it to my friends, suddenly at Becker Vineyards there was a group of six people for the wine tasting. 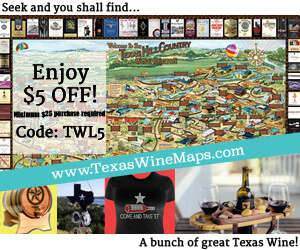 Everybody enjoyed the Texas wines and I ended up buying a few bottles. All of my wine friends who were in the area got together again that night, and we had a great time enjoying quality Texas wine. 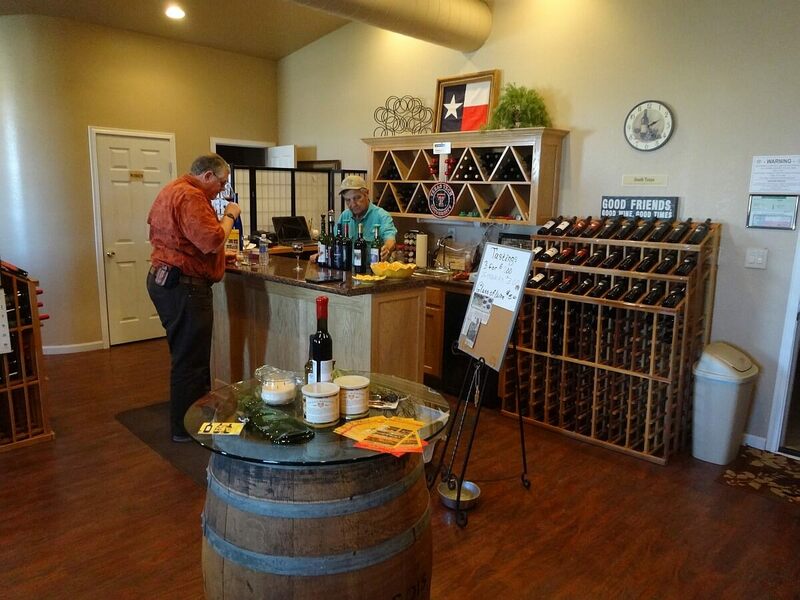 It was unfortunately the end of my long week in the Texas Hill Country, but on the way home I had to stop by newly opened Armadillo’s Leap Winery which I had been anxious to visit. It was a nice way to end the week and it was time to head home until next time.